We recently trawled back through Oldham Council’s published accounts and disregarding any payment made under £500 Oldham Council paid out £378,171 in 2013, £8,287,966 in 2014, £14,087,732 in 2015 & £16,345,571 in 2016 to Oldham Old Town Hall contractors. In January 2017 they paid out £55,559 on construction and related costs plus £44,119 for electricity at the venue. In February they paid out £35,888, in March they paid out £43,462 including £30,000 to real estate advisors, and in April they paid out £65,016 a grand total of £39,343,484. Oldham Council’s spending records show they spent another hundred thousand pounds in August 2017 on construction costs some eleven months after the development opened making the new total £39,440,604. According to the last two council leader’s Oldham Council’s contribution was going to be £26 million but this omitted the cost of loans the Council took out to fund the project and yet another overspend for a development that started at £10 million and ended on a supposed final cost projection of £36.72 million. It is misleading and deceptive of both Jean Stretton and Jim McMahon to disregard loans and insinuate they have no cost because they will be paid back with rental income. That rental income should be adding to Oldham Council’s yearly accounts and reserves, using it to pay back specific loans and interest payments on a specific project does not render those loans or rental income null they become credits and debits, income and expenses. 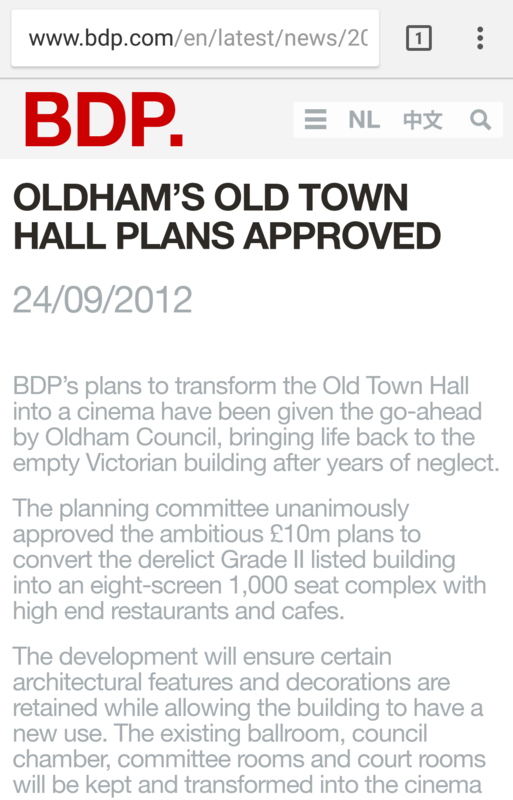 In private business the lead would be sacked if they instigated multiple programs that failed to deliver on promised outcomes and failed to meet budgets and timescales as often as Jim McMahon’s spending and regeneration schemes have for Oldham. When the £2.5 million grant from GMCA & £1 million Manchester airport dividend are subtracted from the current spend Oldham Council’s direct spend and loan liability is £36.5 million not the £26 million reported by the last two Oldham Council leaders. Oldham council’s monthly spending for items over £500 is published on the council website. The picture below is a screenshot from the architects website showing the original cost estimated at £10 million.